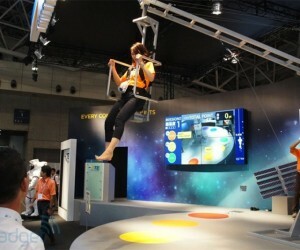 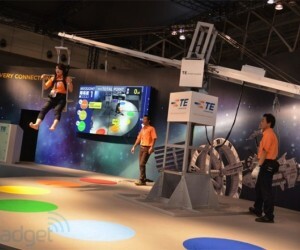 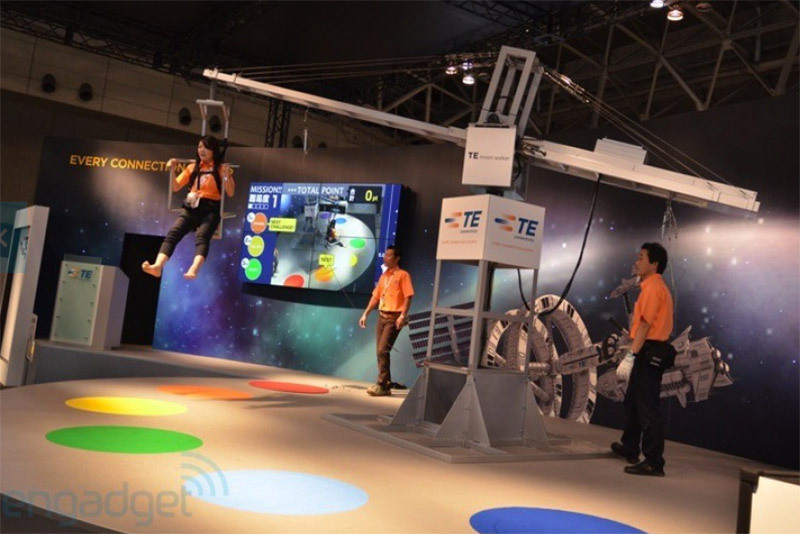 Engadget recently visited the Combined Exhibition of Advanced Technologies (CEATEC) trade show in Japan where they got to experience this supercool moon gravity simulator created by TE Connectivity. 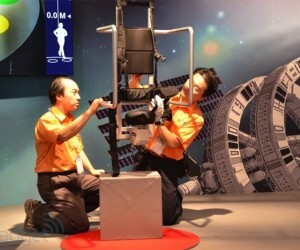 The simulator makes the subject feel as if he is experiences the 0.6Gs of the moon. 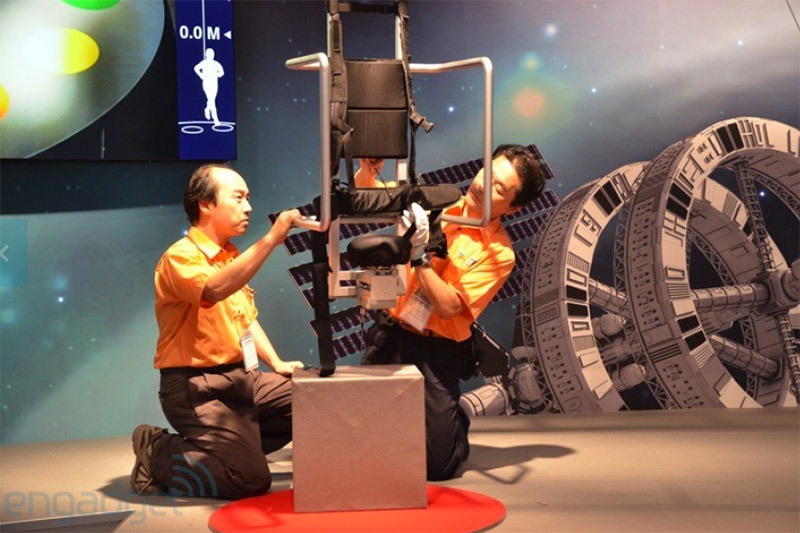 It contains floor sensors that detect the subject’s landing, some NASA-authorized parts and dynamic sensors within the balance motor to prevent the subject from spinning out of control. 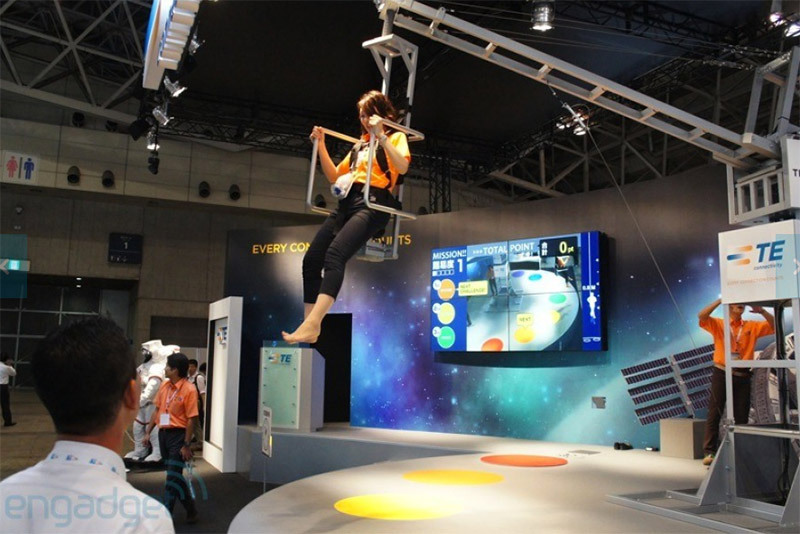 We’d love to take one of these for a spin and see just what it might have felt like for Neil Armstrong and Buzz Aldrin when the first set foot on the moon.